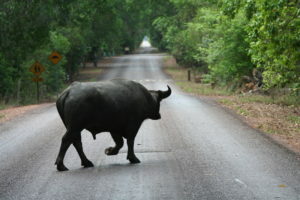 Whenever I am late for an appointment (which doesn’t happen very often), I always like to break the ice by saying “Sorry I am late, my car hit a water buffalo on the way.” By saying that I can usually avoid the awkward moment of needing to explain why the heck I am late and just move on to business. With that, I unfortunately need to Cancel the Fall Harvest Festival that we were planning for this weekend. I could try and explain, but I think it is better in this case just to say that my tractor hit a water buffalo on the way to the festival. But now back to food. Our lovely food. This incredible summer continues to roll on with some amazing stuff. I don’t think that this summer could have been planned better if we tried. The local swell of food this year has just been beautiful. Paul just left the warehouse and brought us the first harvest of apples this season, Galas. As I bit into one, I felt like I ran into a long-lost friend. I have not had a good apple in months. Why is that though? How come apples are terrible in the summer when everything seems to be so great? The answer is simple geography. There are no fresh apples in the summer time. After the Fuji apples are gone in the spring, all the apples you have seen or eaten have come from China (if you are eating conventional apples) or South America if you are eating Organic apples. All of our domestic apples are on the tree limbs during the summer growing. 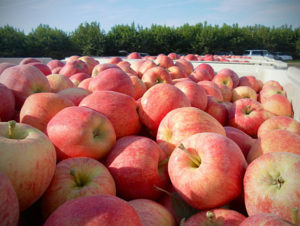 There is no domestic apple production during the summer. Period. So that is why we do not offer apples in the summer. They have too many miles and not enough flavor to even sink a tooth into. Therefore we stuff our pie holes with stone fruits (peaches, plums, cherries, and nectarines) during the summer and wait for Paul’s first load of apples in September. When you bite into one of these babies you will quickly realize why we do not bother with other apples during the summer. He also brought us more Bartlett Pears, Plums, a handful of Nectarines, and freshly pressed ciders. We have peach and pear ciders on the website right now and he will be bringing a bunch of apple cider this next week. Ciders are a true win-win situation for everyone. For the grower, you are able to sell fruit that you would not be able to sell through a fresh market. When a piece of fruit sits on the tree for so long, they are exposed to getting their little butts kicked. Sunburn, hail, and wind scars from rubbing against the branch are very common for tree fruit. And then the grower ends up with fruit that folks will not eat. So instead we can take these aesthetically-challenged (common name: Ugly) fruit and juice them. This way all the fruits of the tree’s labor get utilized and enjoyed. Great for you, great for Paul. Look for all of those ciders on the website, but they never last long. If you want to have some throughout the winter, get them now and freeze them until you are ready. They freeze very well. We are trying to increase our freezer space so that we can accommodate more of Paul’s ciders in the future. They have become a perennial hit with our members. Next I want to welcome a new face to our table, Navajo Pride. Navajo Pride is a farm just outside Farmington, NM and have recently brought some serious Organic production to the state of NM. The farm itself is owned by the Navajo Nation and we are happy to be supporting such a fantastic mission of bringing healthy food to our state all while promoting the agricultural heritage of the Navajo Nation. 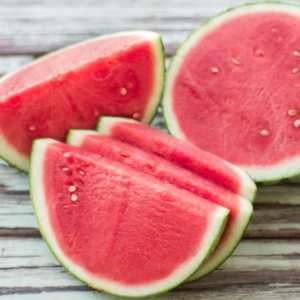 Our partnership launches this week with some truly incredible watermelons. I can honestly say that these are the best melons that I have eaten this season. I know you will love them too. Look for many more items to be calling your kitchen home this fall. We are just getting this project rolling. Enjoy a delicious week and many more to come this late summer/fall. I could not be happier with the way all of the harvests and flavors have been this season. Truly phenomenal.